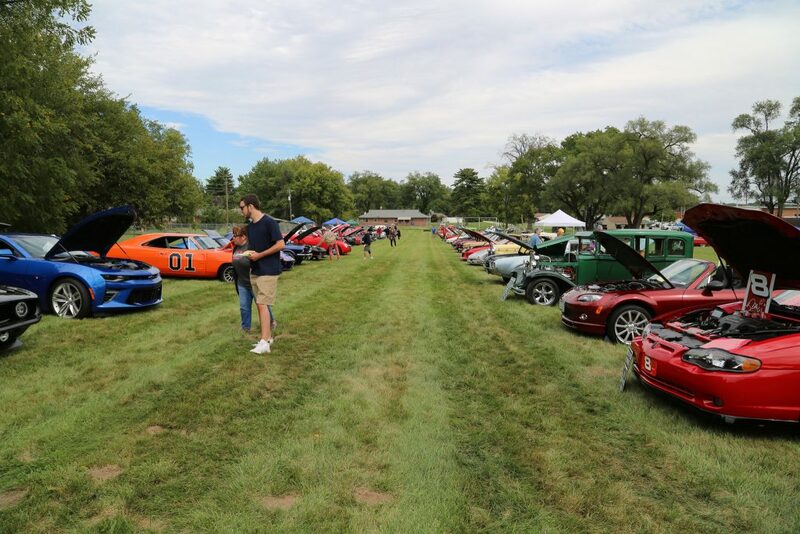 The IAM Midwest Territory’s 2018 “Rides for Guides” Classic Auto Show brought an impressive lineup of wheels and engines – over a hundred cars, to be exact – to IAM District 837 in Hazelwood, MO, raising over $8.5k for Guide Dogs of America. The IAM Midwest Territory’s 2018 Spirit of Midwest “Rides for Guides” Classic Auto Show raised over $8.5k to benefit Guide Dogs of America. Guide Dogs of America provides guide dogs free of charge to blind and visually-impaired men and women across the U.S. and Canada. The event, held at IAM District 837 in Hazelwood, MO this year, drew over a hundred participants. Click here for photos and a complete list of winners. 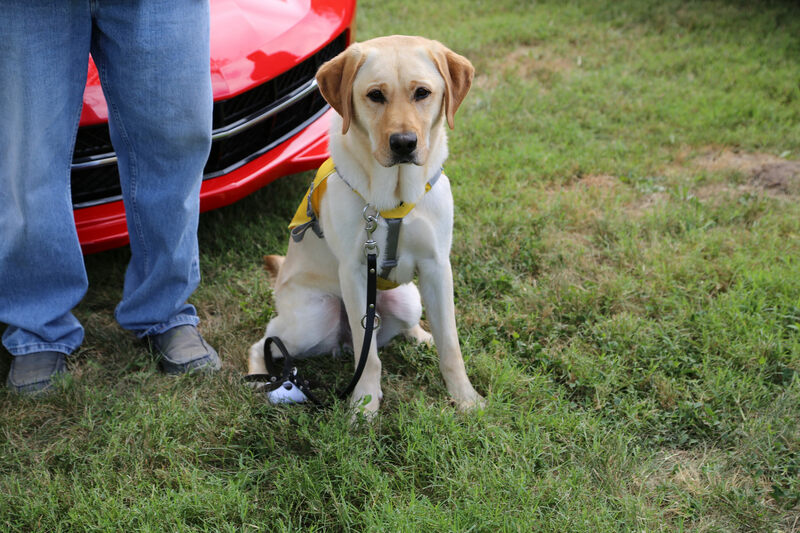 Guests to the 2018 Spirit of Midwest “Rides for Guides” Classic Auto Show were greeted by GDA Director Russ Gittlen and guide dog, Stetson, a spirited 2-year-old just weeks from meeting his new visually-impaired recipient. “What a fantastic event this year,” said IAM Midwest Territory General Vice President Philip J. Gruber. “The passion exhibited by all those involved, year after year, goes further than our love of cars. It’s about giving the gift of sight to someone who can’t see. Our donation of $8.5k will go a long way towards helping Guide Dogs of America achieve that cause. The annual Classic Car Show brought an impressive lineup of wheels and engines. The 17 classes included stock cars from as far back as the 1950s, trucks, muscle cars, corvettes and street rods. Trophies were given to the top three cars in each class, Best of Show and People’s Choice. Click here for a complete list of winners and photos from the car show. For more information on these and other IAM Midwest Territory events to benefit Guide Dogs of America, visit the Spirit of the Midwest website at www.SpiritoftheMidwest.org. The post IAM Midwest Territory ‘Rides for Guides’ Car Show Raises Over $8.5k for Guide Dogs appeared first on IAMAW.